One of the photographs in the Giant's Hole section of the Barry King collection is labelled 'Barry King at Provision House'. I know nothing about Derbyshire caves, and I am not familiar with the name. Does anyone recognise the location? Is it the Eating House? Thanks. I'm fairly sure this is just downstream of the large white wall in Lyon Hall / Boss Aven. You sidestep through the flowstone cascades pictured here and then walk down 20m to the head of Garlands Pot. I'll see if I have a recent photo. Spot on! Thank you, Pete K.
The Provision House must be a name that's gone out of use. I'll re-label the photograph. Location of photo approx here. Thanks - I have now re-titled the photograph and moved it to its rightful place. Good spot. 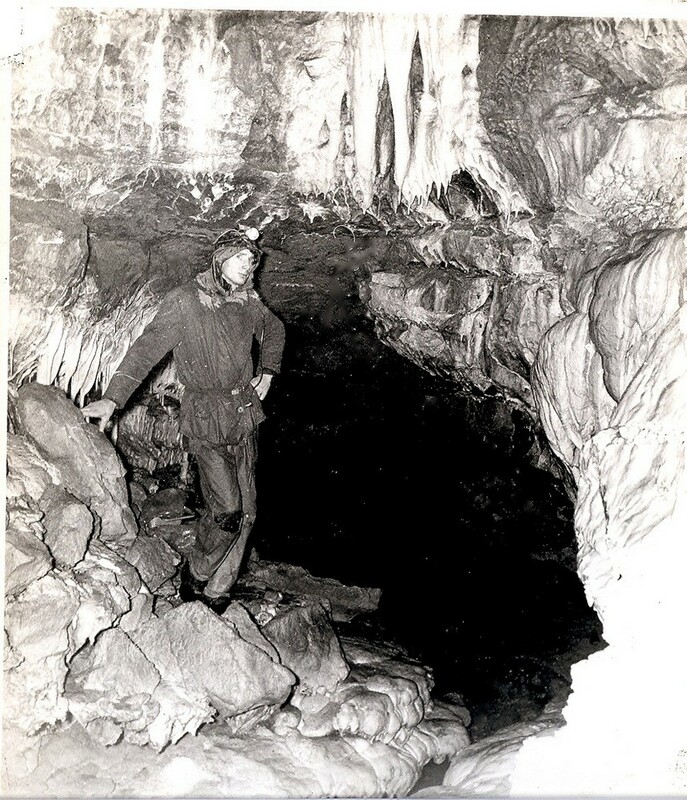 The names "Base Camp Chamber" , "Provision Hall, and the "Eating House" reflect the expedition-like nature of the exploration of the rest of Giants after Backwash Sump was finally passed in the early 1950's.